Home » Green Vibrance Vs. 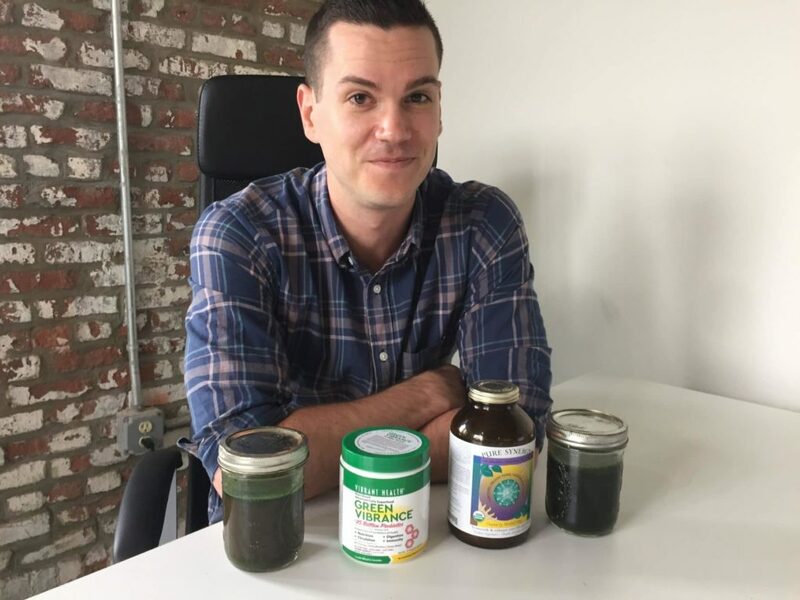 Pure Synergy — Algae and Mushrooms or Probiotics? Green Vibrance Vs. 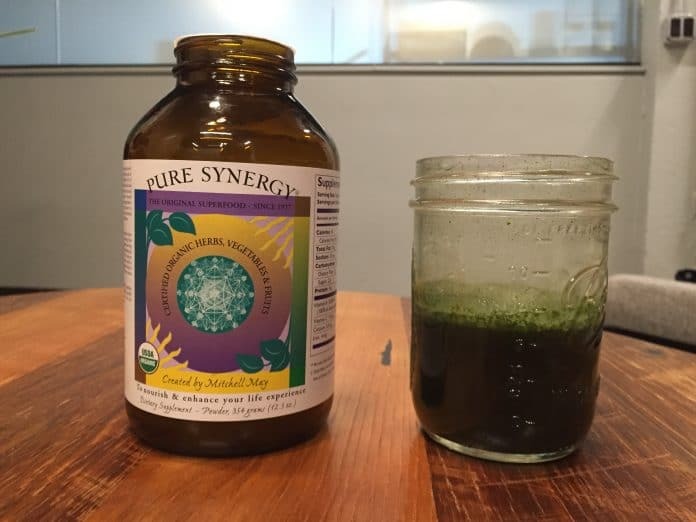 Pure Synergy — Algae and Mushrooms or Probiotics? 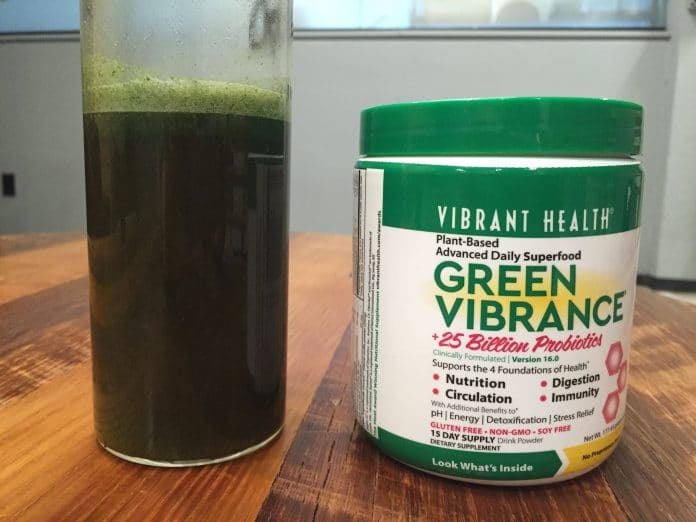 Vibrant Health’s Green Vibrance, on the other hand, has a really strong focus on transparency and science, boasting a much more detailed micronutrient profile and goign so far as to list the weight of each and every ingredient. But there are still certain ingredients and effects that Pure Synergy has and Green Vibrance doesn’t. So if you’re going to buy one greens powder, which one should it be? This is the textbook earthy, soily greens powder taste that most people don’t like. Not only does it taste like grass, it has a spicy aftertaste as well, likely because of the cayenne pepper in the ingredients list. It’s not great. Surprisingly, Pure Synergy tastes a lot like pesto. The ingredients list includes parsley, sage, cloves, and rosemary, but it also has a nutty taste. Neither of these are delicious, but Pure Synergy was more enjoyable. I recommend picking up a 60-day supply. That’s a 25-ounce tub which you can buy on Amazon for about 65 dollars, so $1.08 per serving. If you’d rather a smaller jar of 15 servings, it’s two dollars per serving. A 12.5-ounce jar costs $55 and provides 30 servings, so $1.83 per serving. Both of these greens supplements contain spirulina, chlorella, wheat grass, and barley grass, though Pure Synergy uses juice powders, which some hold are more nutritious. One notable difference is that Green Vibrance, while made entirely from plants and probiotics, is less focused on traditional herbal medicine than Pure Synergy and more focused on ingredients commonly seen in Western health products like fruits and vegetables, flaxseed, ginger, cayenne, and probiotic bacteria. That’s the biggest difference between the two: the probiotic bacteria. There are 25 billion of them from a dozen different strains, which is great news for your digestion and, according to some research, your immunity and possibly mental health. Pure Synergy has a lot more different kinds of algae, and unlike Green Vibrance, it has a pretty big focus on adaptogenic mushrooms. Mushrooms are a pretty popular ingredient in some circles, and Pure Synergy has six different kinds that have been linked to better immunity and stress recovery. It also has more unusual ingredients that you might covet if you’re a fan of traditional medicine, particularly Chinese medicine, with ingredients like goji berries, fo-ti root, and bai zhu. So Green Vibrance has more ingredients, more fruits and vegetables, and more probiotics, but Pure Synergy has more seaweed, mushrooms, and traditional medicine. They’re so different that it’s hard to pick a favorite, but I’d say that if you were to look at the two ingredients lists and try to find out which had the most scientific studies supporting them, you’d almost certainly wind up picking Green Vibrance. But which product actually has more vitamins and minerals? Green Vibrance does a commendable job of listing its micronutrients, including Vitamins A, B12, C, D, E, K, calcium, iron, magnesium, selenium and potassium. It meets at least 50 percent of the RDI for all vitamins (except B12, which is 40 percent of the RDI) and here’s an impressive 70 percent of the RDI of selenium to boot. It also has its own share of adaptogens and stress reducers like eleuthero root, holy basil, and astragalus. And then there’s the star player of the Green Vibrance, the probiotics. As mentioned above, there are 25 billion of them from twelve different strains, plus six digestive enzymes. This is a really dedicated gut health supplement, and in my opinion it’s among best greens powders for digestive health on the market. Pure Synergy has a transparency problem. The jar says it has “perfect nutritional potency” and “an extraordinary amount of minerals” but the only minerals it discloses on the nutrition panel are calcium and iron. In fact, the only micronutrients it tells me it has are Vitamins A and C, calcium, and iron. Green Vibrance has forty times more Vitamin C, the same amount of calcium and iron, and almost as much Vitamin A. But Green Vibrance also details how much vitamin D, E, K, B12, magnesium, potassium, selenium, and other micronutrients it has. 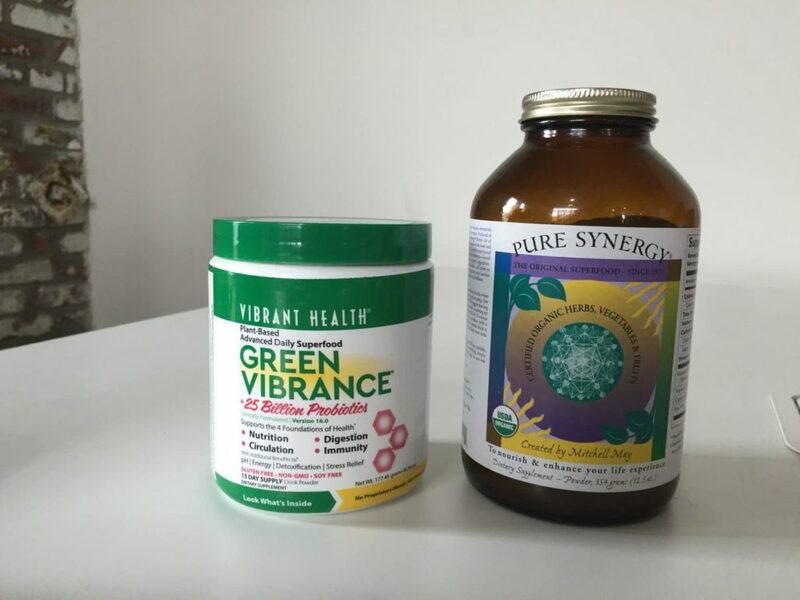 Pure Synergy doesn’t, so Green Vibrance wins the micronutrient comparison by default. I do believe that Pure Synergy has a lot of antioxidants and that all the mushrooms and adaptogens could have a beneficial impact on your stress response. But I don’t know how many of each ingredient it contains and I barely know anything about the vitamins and minerals it contains. When comparing that to a product as transparent and nutritious as Green Vibrance, one that also happens to be one of the best digestive health supplements I’ve seen, and it’s cheaper? Green Vibrance takes the win.